Since 1988, Ms. Pirtle has been principal clarinetist with the Lake Forest Symphony. Her other orchestral affiliations include the Lyric Opera Orchestra, Ravinia Festival Orchestra, Chicago Philharmonic, Chicago Symphony Orchestra, Grant Park Symphony and Elgin Symphony. 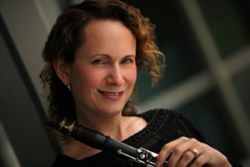 In 2004, Hal Leonard Corporation released her first solo album, Works for Unaccompanied Clarinet, The Music of J. S. Bach, from the transcription of H. Voxman (Rubank). In 2017, she released her second solo album, Twelve Fantasias for Clarinet Solo by Telemann, from the transcription of Sidney Forrest (Southern Music). Ms. Pirtle has co-authored a book on nutrition using traditional foods, Performance without Pain (2006), published by New Trends, and an ebook, Acid Reflux—A National Epidemic and Precursor to Chronic Illness—Achieving Lasting Healing with Traditional Foods (2009). Since 2004, she has presented more than 90 workshops in the U.S. and appeared on numerous radio and television programs. In 2012 she was a speaker at the Wise Traditions Conference in London, England. She has been published in the International Musician, International Clarinet, The Autism File Global, Advance Magazine (a publication for Physical Therapy) and Wise Traditions, and writes a blog on her website performancewithoutpain.com about issues relating to building health with nutrient-dense foods. Ms. Pirtle teaches privately and gives master classes on clarinet and chamber music literature, pedagogy and artist development. She has served on the faculties of Wheaton College Conservatory of Music, Northern Illinois University, Bradley University, Indiana University and New Trier High School. She is currently the head coach for the Earl Clemens Wind Quintet of the Elgin Youth Symphony and teaches in her home studio and at Hinsdale South High School.